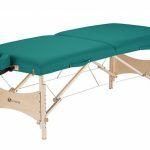 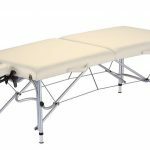 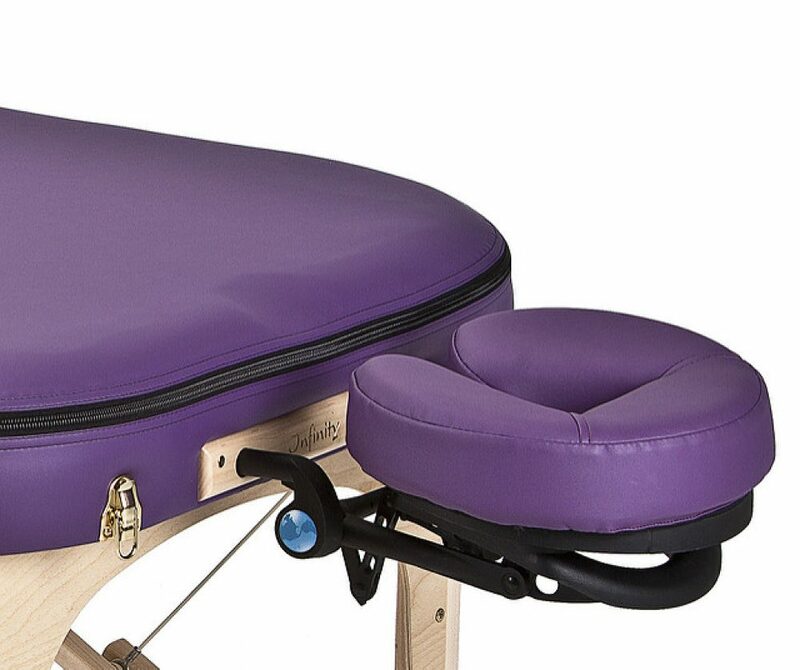 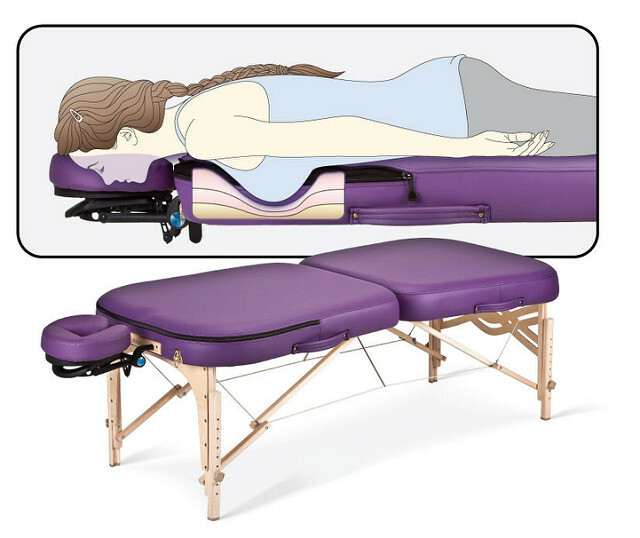 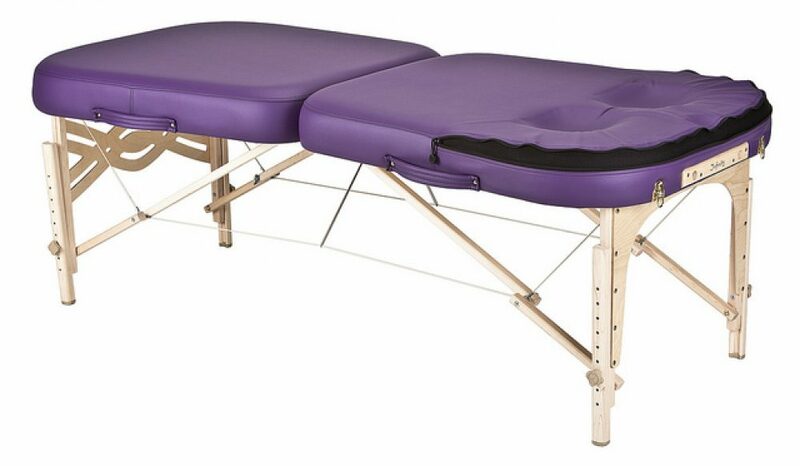 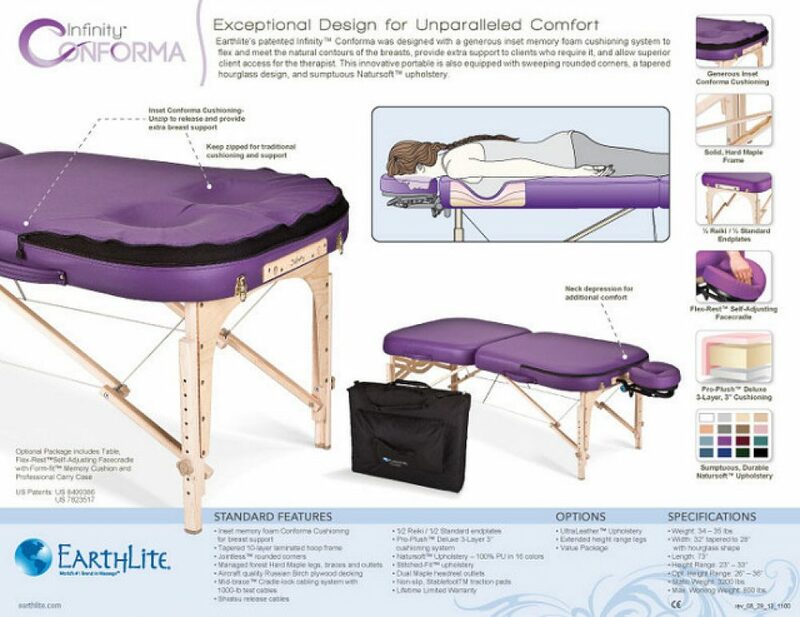 Earthlite’s new Infinity Conforma™ was designed to meet the natural contours of the body, provide extra breast support and spinal alignment to clients who require it, and allow superior client access for the therapist. Zipper-released flex panels enable the Conforma™ technology. 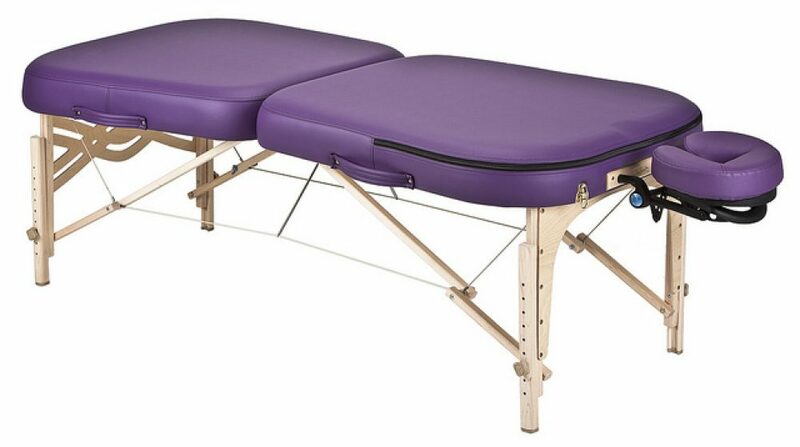 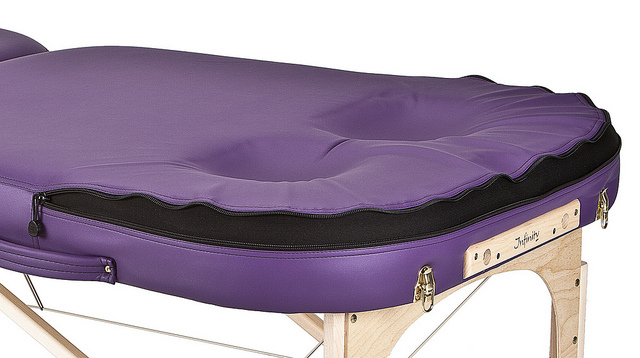 Simply unzip table top upholstery to release tension and provide additional comfort; close zipper for traditional cushioning feel.